Association of South East Asian Nations (ASEAN) is among one of the few regional organizations which have survived the push and pulls between two superpowers during the cold war era and emerged as one of the strongest and most stable organizations of 21st century. ASEAN was formed in 1967 and its current members include Brunei Darussalam, Cambodia, Indonesia, Lao PDR, Malaysia, Myanmar, Philippines, Singapore, Thailand and Vietnam. After the disintegration of former USSR and end of cold war, India had to look for new international partners and thereby initiated Look East Policy to diversify its relations. Since then, warmth between India-ASEAN relations has consistently increased and recently 12thsummit between India and ASEAN was concluded at Nay Pyi Taw, Myanmar in November 2014. Increased cooperation with ASEAN would immensely help India as former has also dealt with the similar challenges faced by India currently. During the latest summit, many areas were discussed where both India and ASEAN could benefit each other immensely through increased cooperation. 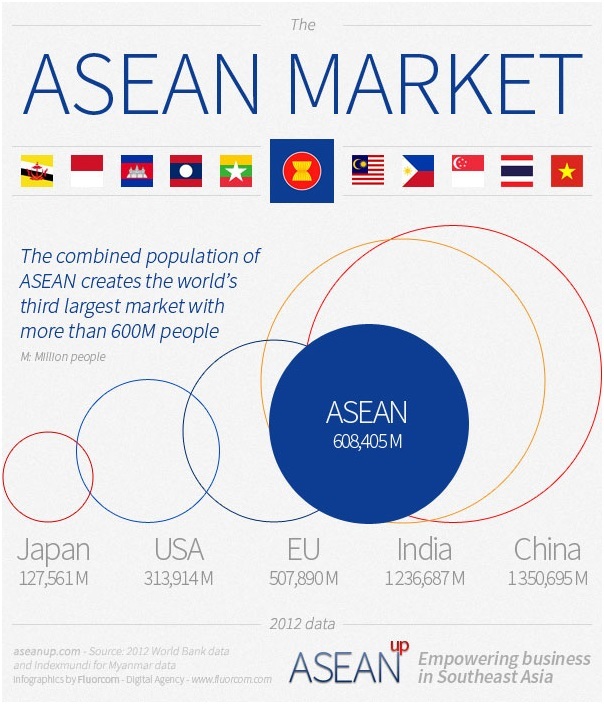 ASEAN and India have large cities and are experiencing urbanization at a rapid pace. This is both a challenge and opportunity. Both regions can help each other in developing smart cities and removing the ills associated with haphazard urban growth. If we talk about the challenges faced by India for boosting the robust growth, energy woes will always take the top spot. India and ASEAN could help each other in this field. Since now the stress is laid on the clean energy, ASEAN India Solar Project for research, manufacturing and deployment was conceptualized during the summit. Both India and ASEAN are prone to natural disasters; cooperation in disaster management between both the nations would save the lives and property worth billion of Rupees. While earthquake, volcano, haze are common in ASEAN, floods, drought, cyclones and earthquake often create havoc in India. As neighbours, India and ASEAN can gain a lot from cooperation in the disaster risk reduction, response and management. India is one of the few countries which have more than 60 percent of population under the age of 35 when most other countries in developed world in Europe and America are facing the aging society. Therefore in near future, most of the jobs from these regions are likely to be outsourced to India which is often fancifully called as demographic dividend. But if India is unable to impart the required skills to its population, the potential opportunity would be lost once for all. In this respect, both India and ASEAN discussed the cooperation in skill development during the 12th summit. India and ASEAN also discussed giving recognition to the degrees of each other to expand the opportunities to the workforce of each other. Thailand and Singapore are the members of ASEAN which always remained as most favourite destination for the Indian tourists. Now India is also trying to attract the tourists from ASEAN. Development of Buddhist circuit in India is seen as a measure to attract the flow of tourists from ASEAN. Apart from the aforesaid areas, agriculture and food security is another area which is politically as well as economically important for India. 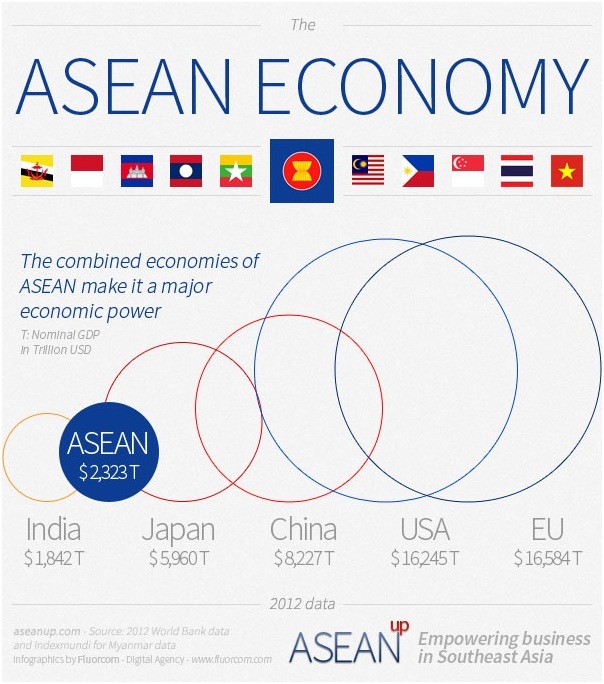 Not just for economic and political reasons but cooperation with ASEAN is also relevant for diplomatic reasons. When China is encircling India by developing projects and cementing its ties with Indian neighbours, India is also working towards building ties with ASEAN countries. Since the bulk of the global economic growth in future is expected from Asia, increased cooperation between India and ASEAN will boost the economic growth in both the regions thus making India and ASEAN the engine of future global growth.